Obstructive sleep apnoea is characterized by short interruptions of breathing while sleeping. The overall advice with this disorder is not to drink too much alcohol. This is a first meta-analysis looking at the scientific evidence. The data suggest that alcohol consumption is indeed associated with a higher risk of sleep apnoea. Clear conclusions are limited and more research is needed. The results were published in the scientific journal Sleep Medicine. What is already known? Previous studies looked at the association between alcohol consumption and the risk of sleep apnoea, but results vary. What do these studies add? This is a first systematic review and meta-analysis looking at the association between alcohol consumption and the risk of sleep apnoea. Only observational studies are taken into account and the underlying mechanism is not investigated. Obstructive sleep apnoea is a disorder characterized by 10-second interruptions of breathing which occur more than 5 times per hour1. Prevalence is around 2-4% of the adult population2. In general, the advice is to limit alcohol intake, especially the hours before bedtime3. The researchers1 found 31 relevant studies from all over the world. Only 21 studies had enough data to be included in the meta-analysis. Results indicate that people who drink alcohol have a 25% increased risk of sleep apnoea, compared with people who do not drink. Studies that adjusted for BMI or smoking, find a 41 to 56% increased risk. The study has some severe limitations. Most studies did not adjust for confounding factors. Additionally, people from low-income countries appear to have a higher risk of sleep apnoea than people from high-income countries. There was not sufficient data available for a quantitative analysis. So results are only available for drinkers versus non-drinkers, and specific amount have not been taken into account. The exact mechanism underlying the association between alcohol and sleep apnoea is still unknown, but there are some hypotheses. Alcohol could reduce the muscle tension of muscles in the mouth, increasing the risk that the tongue, upper airways and soft tissue of the palate blocks the airways. Alcohol could also increase the resistance of the airways1. Also the timing and regularity of alcohol consumption could be an important factor in the risk of sleep apnoea. Higher alcohol consumption is also related to a higher BMI, which in itself is a risk factor for sleep apnoea1. Overweight is the most important risk factor of sleep apnoea. About 40% of people with a BMI above 28 suffer from sleep apnoea. 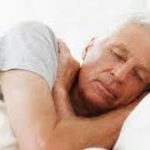 Prevalence of sleep apnoea is also higher in older people and in men4. • This is a first meta-analysis looking at the association between alcohol consumption and the risk of sleep apnoea. • Worldwide data are used for the analyses. • Relative low quality of studies used in the meta-analysis. • Few studies have adjusted for confounding factors. • Not enough data available for qualitative analyses. • Researchers found evidence of ‘publication bias’. 1. Simou, Britton, J., and Leonardi-Bee, J. Alcohol and the risk of sleep apnoea: a systematic review and meta-analysis. Sleep Medicine, vol. 42, pp. 38 – 46, 2018. 2. Spicuzza L, Caruso D, Di Maria G. Obstructive sleep apnoea syndrome and its management. Therapeutic Advances in Chronic Disease. 2015;6(5):273-285. 3. Downey, R. Obstructive Sleep Apnea. Medscape. 2018. 4. Garvey JF, Pengo MF, Drakatos P, Kent BD. Epidemiological aspects of obstructive sleep apnea. Journal of Thoracic Disease. 2015;7(5):920-929.